I hope you had a fantastic weekend and found some sunshine amongst this crazy weather we've been having. 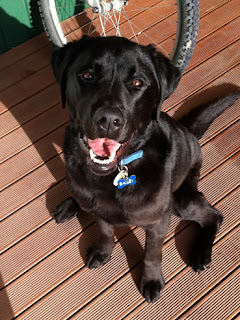 I didn't get a lot of card making in unfortunately as I spent some much needed time in the garden and playing with my gorgeous lab Bailey. 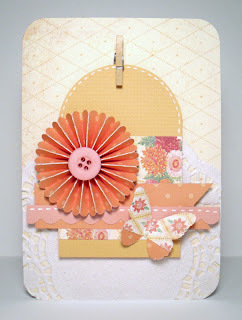 Today I'm sharing some inspiration using the My Minds Eye Miss Caroline Howdy Doody Lovely range. 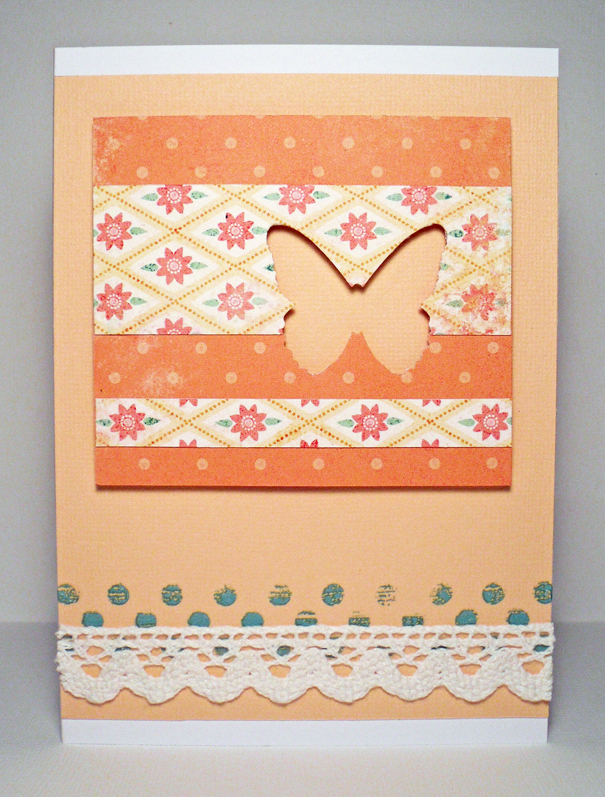 I've kept my first card reasonably simple using strips of the paper and punching them with a butterfly punch. I used a strip of fabric tape and some rub on transfer for the detail down the bottom. 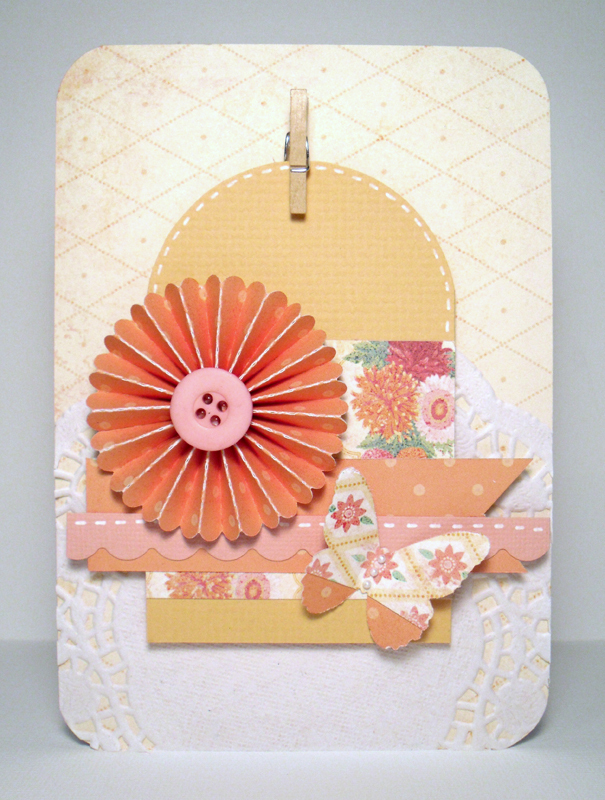 The Miss Caroline range has a gorgeous sheet of floral rub on transfers that are so easy to use. 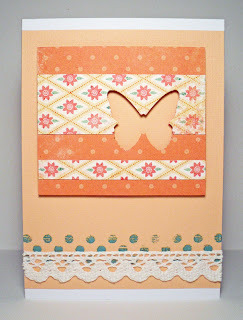 For my second card I've used the Tim Holtz rosette die and the punched out butterfly from my first card as my main focal points. I love how this range ties in orange and pink together, not a common combo, but it really works. Supplies used: MME Miss Caroline Howdy Doody Lovely Mum's Paper, MME Miss Caroline Howdy Doody Lovely Wallpaper Paper, MME Miss Caroline Howdy Doody Happy Rub-on Transfers.